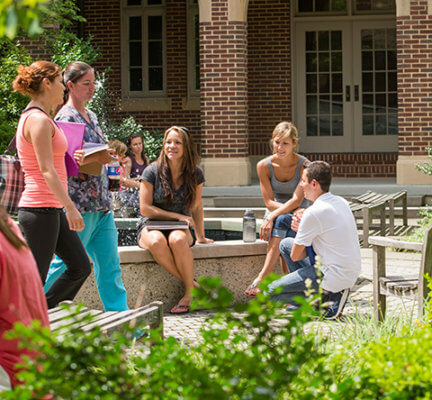 When you choose Maria, you become part of one of the Capital Region’s strongest, most respected nursing programs. We have been preparing students for 50 years—and have graduated more than 4,544 nurses. In virtually every healthcare setting in the Capital Region, and in facilities across the nation, our graduates use the skills they learned at Maria to enhance healthcare and change lives. They are leading the way in our region by improving patient care and building healthier communities. 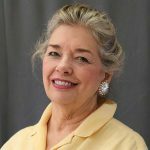 Maria’s advantage lies within the mission of Maria College to instill in graduates a respect for the dignity of each person and the ability to transform learned skills into caring service rooted in the Sisters of Mercy legacy. The core nursing philosophy of the first Sister of Mercy, Catherine McAuley, was “great tenderness” in helping the sick, injured, and vulnerable individuals. Learn more about the Maria Nursing Advantage. A state-of-the-art nursing teaching and learning facility is located in Maria’s McAuley building. This one million dollar, 6,500 square foot renovation will enhance opportunities for the development of skills and critical thinking for nursing students. Knowledgeable faculty, a caring and supportive environment, the latest in nursing technology, and real-world clinical experiences prepare Maria College nursing graduates for a rewarding and successful career. Click here to learn more. You can view photos here. 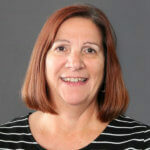 To learn more about the three nursing programs at Maria College, click on the links below. Lays the academic and clinical foundation. Highest NYS NCLEX-RN pass rate for college-based RN programs (over 100 graduates/year). Maria nursing students have access to the latest technology, including the Capital Region’s most advanced nursing simulation lab and first 3-D virtual dissection Anatomage Table. Virtual patient educational software helps students improve their diagnostic and communication skills. Clinical rotations—in the region’s top hospitals, long-term care centers, and other nursing practice settings—give students invaluable hands-on experience. 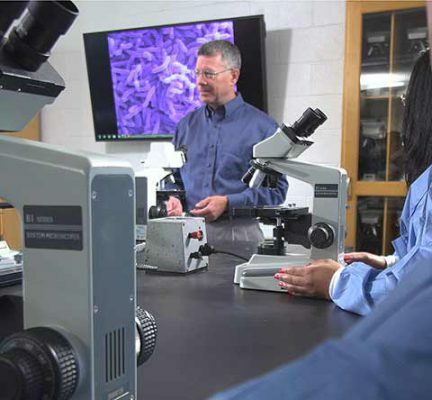 Our faculty members are chosen for their combination of expertise and dedication. 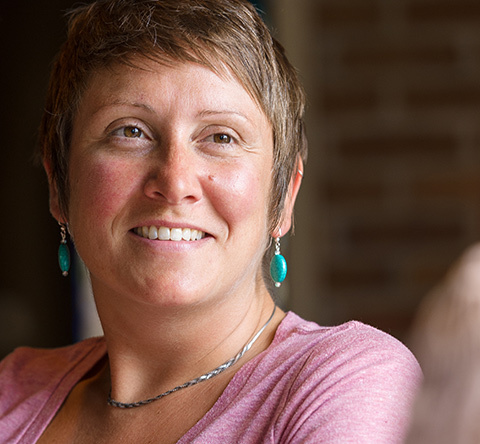 Instructors draw on their professional nursing experience to provide a solid academic foundation and underscore the importance of evidence-based nursing. 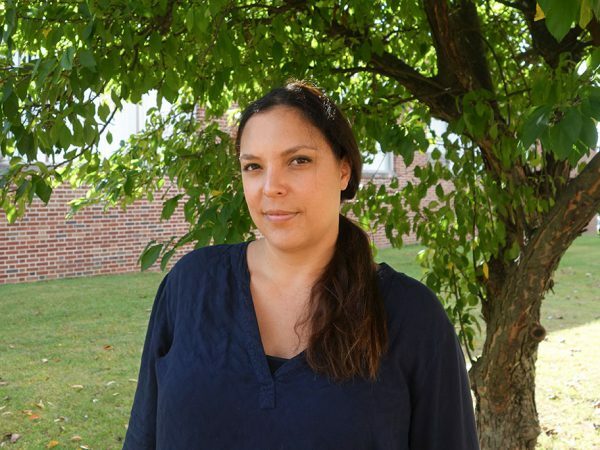 As instructors, advisors, and mentors, faculty members model the care and personal attention that distinguish both Maria and our nursing graduates. 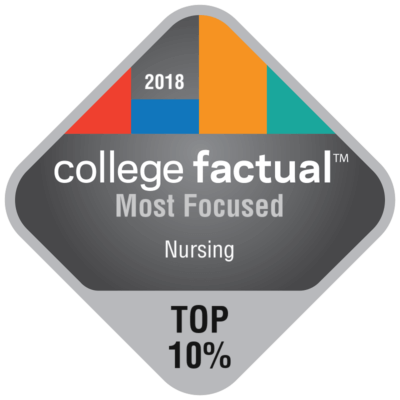 College Factual has ranked Maria nursing program in the Top 10% nationally for “Most Focused”. This national ranking score is based upon a total ranking of 1,125 colleges and universities; Maria’s ranking is #101 on this list. 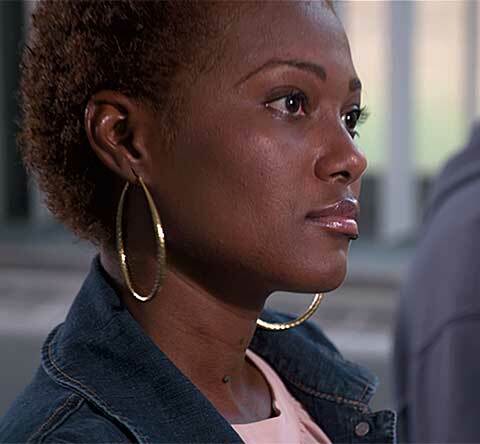 In College Factual’s Mid-Atlantic ranking, Maria ranks #4 in New York State. 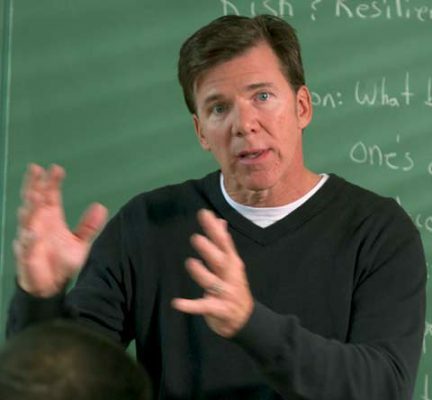 To view more about College Factual methodologies, please click here. 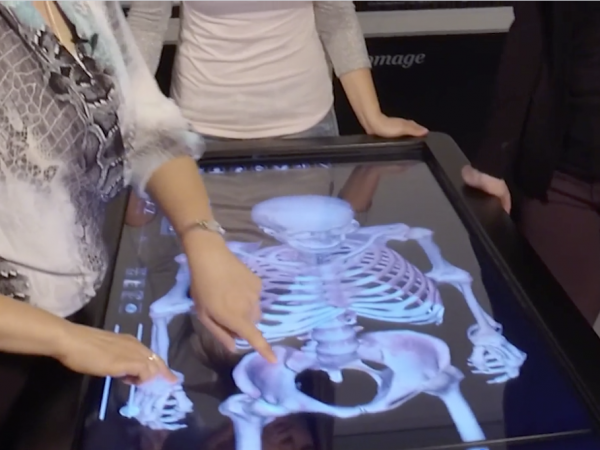 Virtual dissection technology gives students the ability to look beneath the skin to study human anatomy, revolutionizing how anatomy is taught. 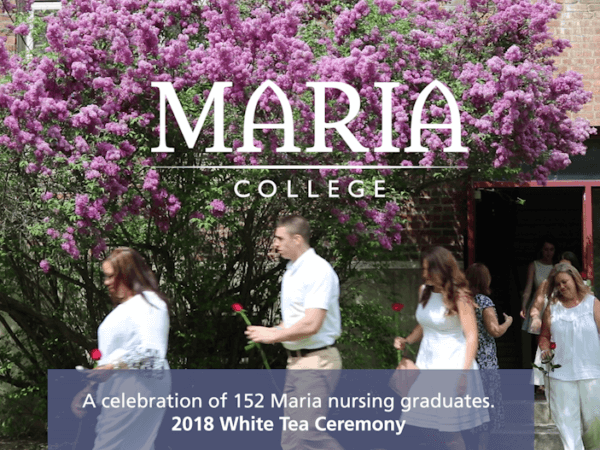 The 2018 Maria nursing program graduates celebrate the annual White Tea with a pinning and candle-lighting ceremony.